It is funny how many folk on their Altitude tour are shocked, we all know that down under winter is summer and summer is winter, but still it seems to surprise people that at the end of March we start our grape harvest in Central Otago! With that in mind we thought we would help you out by translating the traditional Northern Hemisphere vineyard calendar into a Southern Hemisphere perspective. Let’s start with harvest as we approach this here in New Zealand. In Europe and the US harvest will normally start in late August and run till late into September and often early October. In Central Otago harvest would normally start early to mid April. 2018 may well be slightly different as we have had record sunshine and high temperatures this year and many areas are reporting that ripening could be as early as four weeks further forward. Spraying or any type finished a few weeks ago and in most cases the grapes were covered in netting to protect them for the birds and the wasps. You will most likely see the vineyards covered in these nets while on your tour. Harvest will run for anything up to six weeks across regions depending on their altitude and micro-climates (see our articles on the effect of micro-climates on the ripening of the grapes). In Central Otago it is then the turn of the wine makers throughout May to weave their magic. Once harvest and vintage is pretty much completed it feels like a bit of a rest for most around the vineyard. In New Zealand this is late May and through June and into July. The early winter months are usually taken up with a general vineyard cleanup and any planned infrastructure work. The same is the case in Europe and the US during October and November. During Autumn as well in the coldest regions around Central Otago and Europe the earth maybe ploughed to break-up the soil, there is some pruning and a process called ‘buttage’ in which the base of the vine is wrapped to protect it from heavy winter frost and snow. The main winter pruning then takes place in the depths of winter – January and February in the Northern Hemisphere and July and August in New Zealand. It is a thankless job in often freezing temperatures. The vines are positioned ready for the new shoots to spring forward. 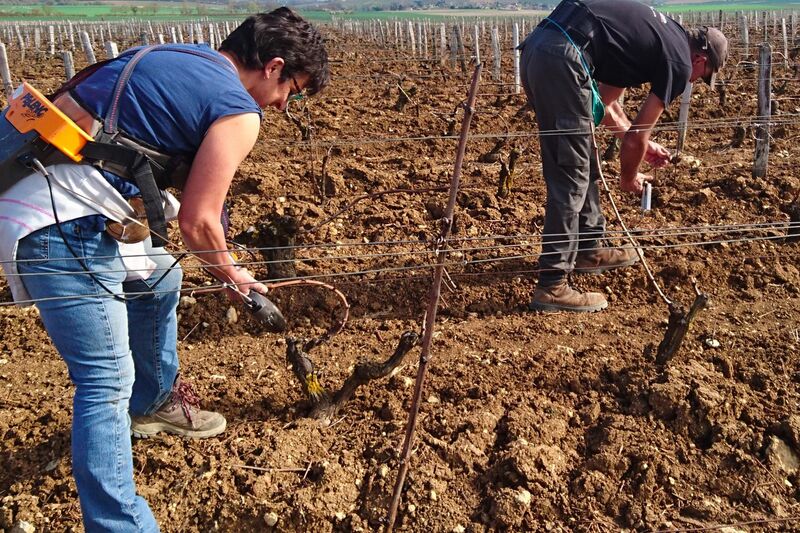 By early spring (March in Europe and September in Central Otago) pruning is done and dusted, new fertiliser is being sprayed and the grafting of new plants is underway (read more about the grafting process in our explanation of Phylloxera). Newly grafted vines will stay in the nursery for 13 months until the following Spring when they are planted. As Spring takes it’s grip vines that were wrapped for winter protection are revealed (debuttage) and the soil broken up around the vines. If the vineyards use herbicides they will spray at this time. It is all go in October and November in Central Otago. As vine shoots appear the viticulturist may desucker some of them. Desuckering? Cool word huh. Desuckering is not the process of weaning an Altitude Tours guide off the wine bottle but rather the process of removing some of the green shoots as they appear in order to reduce the quantity of grapes grown which increases the intensity of effort into just a handful of fruit hopefully giving much higher quality grapes. The vines will also continue to be positioned for canopy management – to allow or maximise sunshine on the grapes (or in very hot climates like the North of New Zealand and Spain or South Italy to increase the protection the leaves may afford to the fruit). Spraying against pests and diseases continue throughout Spring and into summer. And then the most unusual thing happens in Central Otago. That is right there is Christmas, and barbecues, and drinking Rosé on the veranda, and shorts and t-shirts. 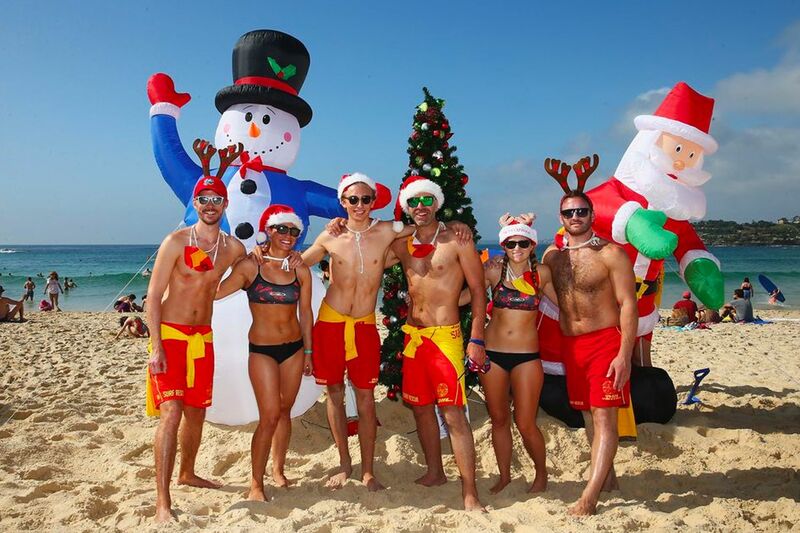 While Europe and the US are thinking skiing, mulled wine (or Gluhwein in most parts of Northern Europe), and stockings by the fireplace winemakers in New Zealand are thinking Christmas on the beach with a fresh Sauvignon Blanc or Pinot Gris!! Floraison, the process of flowering, and then the setting of fruit takes place approximately 100 days prior to vintage. In the Northern Hemisphere this is June but in Central Otago like unwrapping your presents it happens around Christmas. As the concentrated growing takes place through the hot summer months the upward vines are positioned to present the grapes to the maximum sun (a process called accolade). In February/July the viticulturist may choose to undertake some green harvesting, which means cutting off some of the green bunches of grapes again to concentrate the effort into fewer high quality fruit. The changing of colour of the grapes is referred to as veraison. And then all of a sudden there you have it we are very quickly back to late March in Central Otago and the winemaker and viticulturist are on edge – praying for long hot sunny days to ripen the grapes that last little bit, to raise the sugar level high enough, and definitely no rain to swell the grapes with water and dilute their intensity. It is an interesting dance, a game of wills between winemaking and mother nature, a little light rain and late hot summer sun can give the grapes a big last effort to grow intensive flavours, leave them too long on the vine and an evil early frost or hail storm might destroy 11 months of work. Timing is everything!